Despite being our "off season", there is still quite a lot of activity in the real estate market. 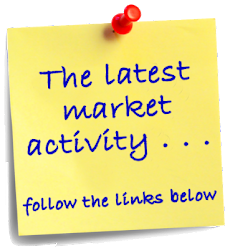 This past week 19 new listings entered the market, 17 listings went under contact and 12 listings were sold. 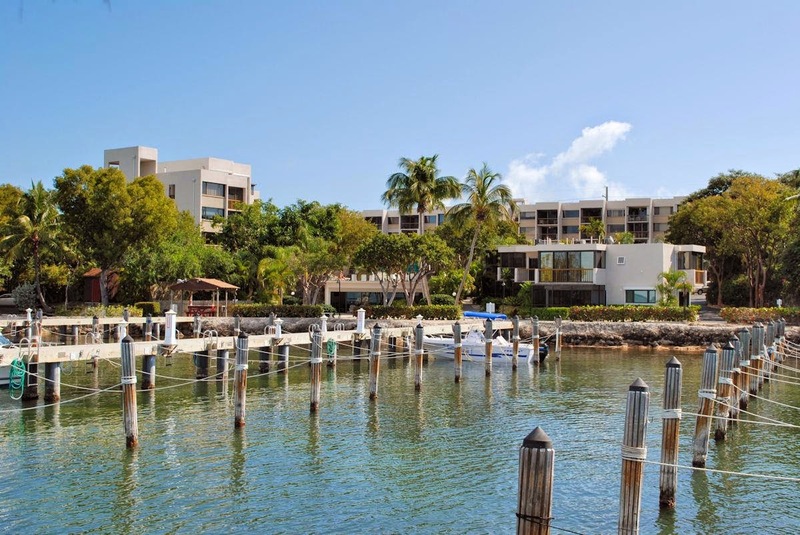 Among the new listings, there are two new units for sale at Moon Bay in Key Largo. A209 has just been listed for $240,000 and B401 has just been listed for $349,000. Rental potential is very good in this complex, which allows for weekly rentals. Visit www.MoonBayKeyLargo.com for more information about Moon Bay. 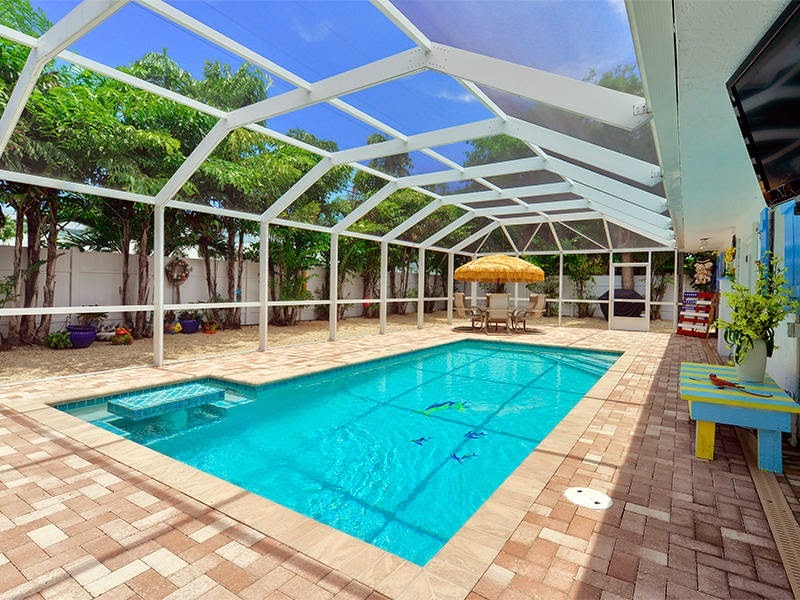 Pending sales included a beautiful pool home in Plantation Key. This ground level home is located in an X flood zone, one of the most desirable flood zones in the Keys. 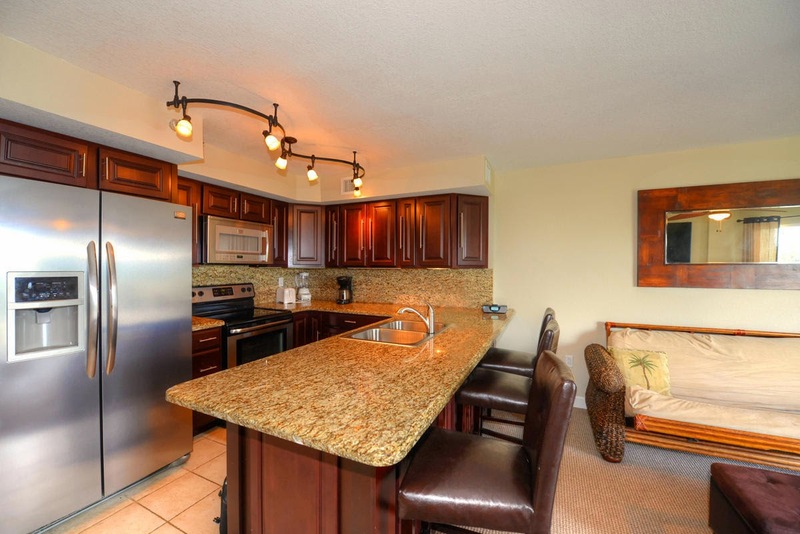 It featured 3 bedrooms and 2 baths and a spacious open kitchen. It was listed for $485,000 at the time of contract. Sold listings included 3 listings at Ocean Pointe Condos, with sales prices ranging from $258,000 to $325,000. 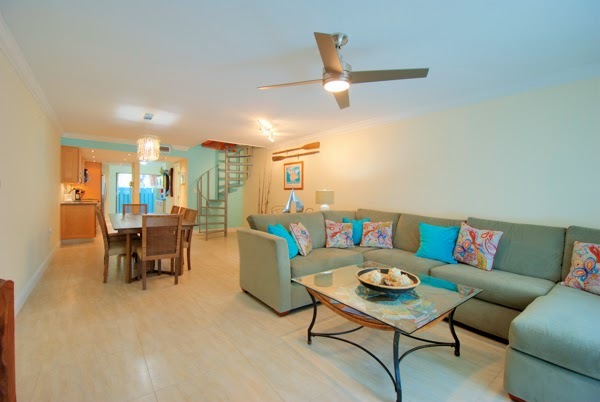 These condos also offer very nice rental income, as they can be rented for as little as one night. The on-site management program makes renting your unit very convenience. Learn more about Ocean Pointe at www.OceanPointeCondos.com. Listing information is gathered from the Florida Keys Multiple Listing Service (MLS). Listing links will automatically expire after 8/27/2014. Close to everything the Upper Keys has to offer! This beautifully remodeled unit has two bedrooms and two full baths plus a separate loft with private entrance. The entire residence has been remodeled with new tile floors, frosted impact windows in the living room, new cabinetry in the kitchen, new showers and vanities in both baths and much more. The full-size stacked washer and dryer can be found in a convenient laundry closet adjacent to the kitchen. Additional storage is provided by a large walk-in storage closet with stairs leading to the loft. Executive Bay Club makes an excellent year-round residence or is perfect for your island getaways. It is very conveniently located near shopping, schools, and everything you could need. Amenities include large swimming pool located next to the clubhouse, making it a great location for parties and other events. 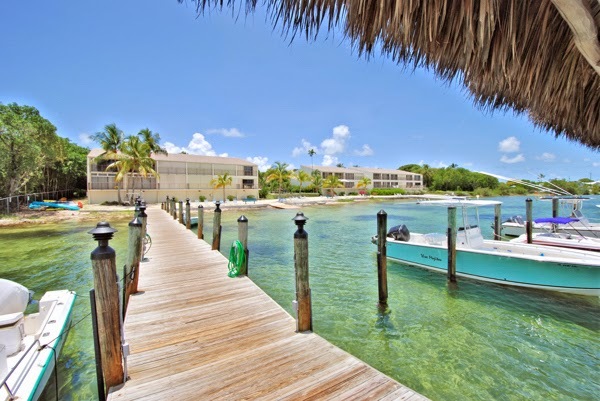 Dockage is provided in the first-come marina directly on Florida Bay. There is also a beach area with beach chairs, two tennis courts, all located in a gated and secure community! There are less than 5 units currently available within the complex - Call today to arrange for a private showing!